I am a sucker for Old Hoards - what in Germany is described in auction catalogues as "Uralt Bestand". From time to time I buy them, the bigger the better, and then try to think of a way to re-organise them which does not have me spending weeks breaking Minimum Wage legislation (as Leon Finik recently put it in an article arising from sorting old bundleware). This last week I bought a couple of thousand old envelopes which housed the basically pre-1939 Latin America stock of a London dealer, Oswald Marsh, who had incorporated into his own stock the earlier stock of another London firm, Errington and Martin. It made me think about how stamps were assembled in the past (and to some degree, still are). First, someone had to find an office, preferably one receiving a large volume of mail, willing to sell its incoming envelopes or, at least, to allow the stamps to be removed from them. Then, the stamps had to be removed. In order to economise on weight, stamps were often cut very close thus damaging perforations or they were even peeled off which created other kinds of damage. So very early on the stamps which collectors wanted were damaged. Next - as part of the service - the stamps had to be washed off paper. It is important to realise that for maybe a century this was done on an industrial scale, with billions of stamps being soaked off paper to supply dealers. At this stage, if the stamps were stuck onto any kind of coloured envelope or wrapper, then they would emerge from washing discoloured from that paper. More damage. If the washing was well-done, then the stamp backs would be clean but sometimes some gum would remain. To me the most mind-numbing procedure comes next: the packaging of washed stamps into bundles of 100 of the same type, the bundles held together with a paper banderole or cotton thread. Imagine spending your working day doing that! If the stamps had been properly washed and dried, then bundling would not cause any difficulty when the time came to unbundle them. But the business of shuffling the stamps into a neat bundle would sometimes damage perforations as would the cotton thread. 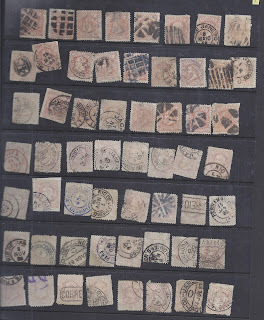 Billions of stamps ended up in bundleware, some of them scarce stamps. Not so long ago, when I bought the Schmidt collection of Ukraine I was surprised to find used Trident overprinted stamps in bundles - made in the 1920s or 1930s and never unbundled. That implies access to considerable quantities of mail. 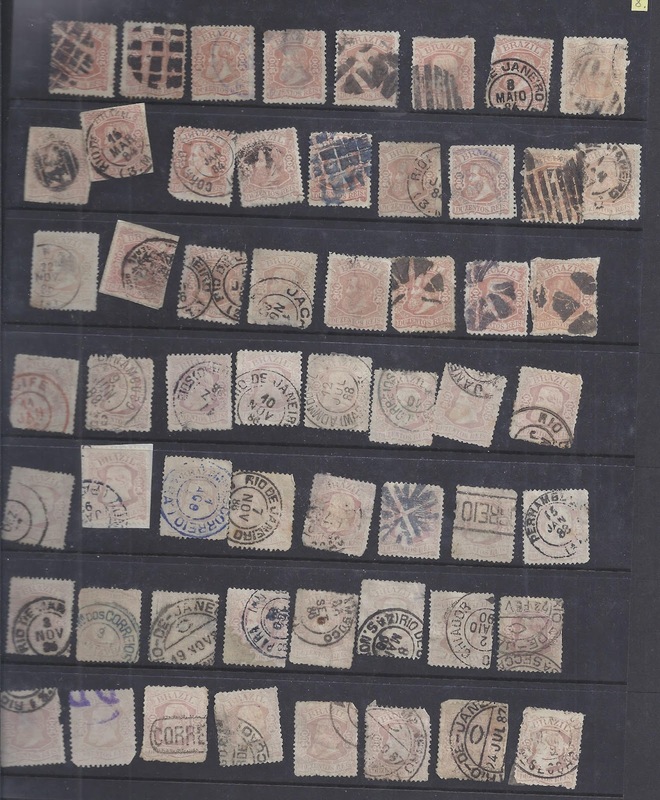 Eventually, a dealer would unbundle stamps and put them into retail packets or hinge them and put them into approval books (Auswahlheften, Carnets a Choix ) and after that what happened would depend on what the collector did with them. Errington and Martin kept their stock in envelopes with detailed stock control notes.